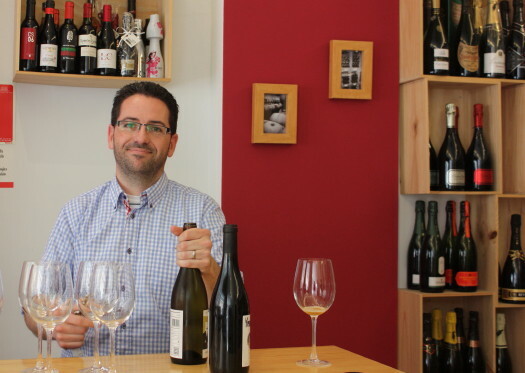 This week we talked to Edu who is the owner of an excellent wine shop in Xativa, called “Un Vinet? “. 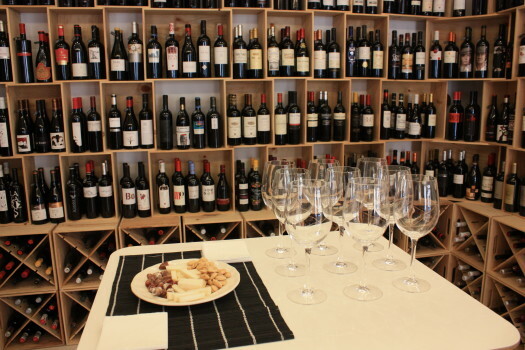 His shop is small and modern and is tucked away in a back street of Xativa.It stocks wines from all over Spain and even some foreign ones and above all, it has an excellent choice of local wine. Edu at the helm of Un Vinet? The old fashioned bodega style shops have slowly dissappeared and very few survive today in modern Spain. Edu’s shop very much caters to the new market and stocks wines that in great part reflect this. So when and why did you start your wine shop business? Well, in 2010 tired of my job as a Agricultural Engineer I decided to follow one of my passions in life and took the plunge and eventually opened the wine shop in April 2011. What products are the best sellers in your shop? Red wine priced between 5 and 10 Euros from Valencia, Rioja and Ribera del Duero. We also sell two local craft beers La Socarrada(see article) and Bellveret. Has the economic crisis affected your sales? When we opened the shop the recession was already well under way so we can’t compare to “the good years”. However, businesses depend on people consuming and it is clear this situation affects how much people buy. Which is your favourite wine producing region? The truth is I like trying all types of wine which means my favourites tend to change according to the moment. At the moment I like Rioja, but next week I might say Valencia, Priorat or Bierzo. A session for the tastebuds! I normally take 15 days in August from the end of Feria until September. 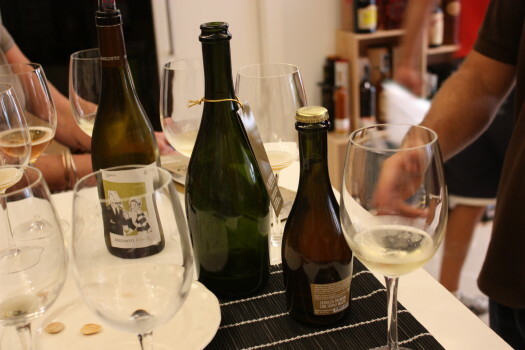 In your opinion is there a clear tendency in the world of wine in terms of a particlular style of wine? Yes , there is a a tendency to emphasize the things that makes the wine different from others.This is why each bodega works and experiments with unique local grape varieties and even in some cases they try to recuperate lost varieties. Edu is a mine of information about wine and gives his honest opinion about any wine you ask about. I often drop in to check out his selection and to ask his advice about trying new wines or wines I don’t know. His knowledge, sincerity and relaxed attitude make for a perfect blend and mean his customers can learn about the wines he sells and enjoy their visit to his shop and , of course, enjoy the wine he sells. The Spanish Thyme Traveller uses his shop to do tastings of local wines and beers with customers. 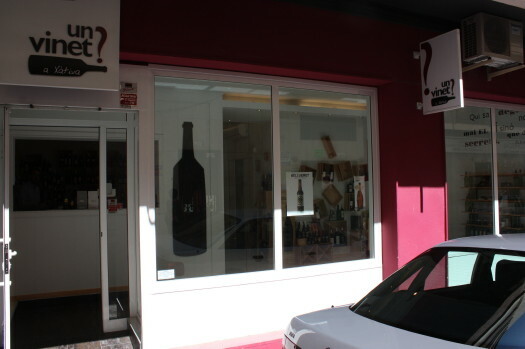 If you are ever in Xativa drop in and see the selection of Edu’s wines. I assure you, you won’t be dissappointed. His range of Valencian wines is particularly good, stocking all the local classics and some interesting new products. The webpage is: Un Vinet? This entry was posted in wine and tagged bodegas, Food, Food and wine tours Spain, gastronomy, local business, local craft beer, red wine, Spain, Spain for foodies, Spanish Traditions, Spanish wine, Travel, Valencia, Winemaking, winetasting by Paddy Waller. Bookmark the permalink. Muy interesante sin duda pero no aparece por ningún lado la dirección de la tienda un vinet? o al menos yo no me he dado cuenta . Eduardo, Gracias por tu comentario..si ves casi al final del articulo hay un enlace a su webpage donde sale todos sus datos de contacto…pone webpage: Un Vinet?…pinchas sobre eso y te lleva a su pagina web. A wine shop closed for 15 days in the height of holiday barbeque season ? Is Edu by any chance a relation of your Butcher friend ? Haha Dan….no he is not related by around 60 to 70% of Spaniards take their holidays in August or maybe even more! !